Dicyandiamide Formaldehyde Flocculant is liquid type cationic copolymer with 50%min solid content, can be used for decoloring-clarification of sewage and colored waste water from factories including textile dyeing, dye-works and paper mill. 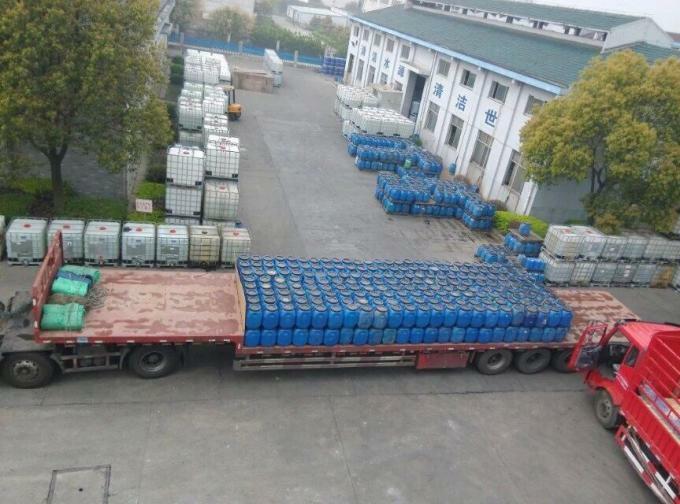 Dicyandiamide formaldehyde flocculant can offer further flocculating effect, if jointly used with the inorganic flocculating agents including aluminum sulfate, poly-aluminum chloride and ferric chloride, or the polymer group such as polyacrylamide and acryiic polymer. 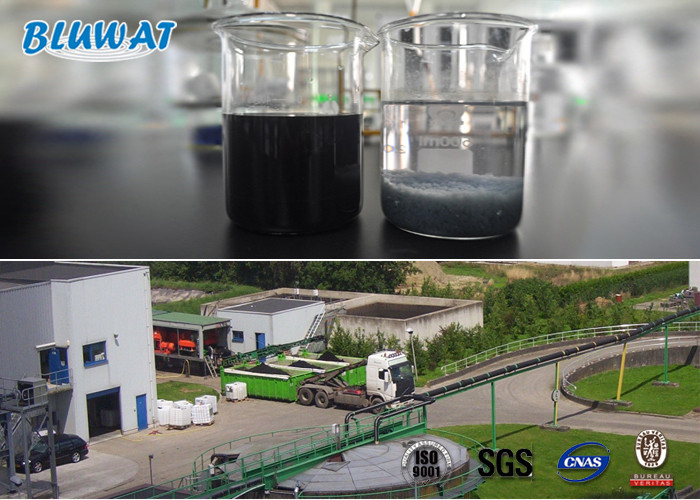 Being a positively charged cationic flocculating agent, BWD-01 neutralizes the negatively charged pollutants in the waste water to form insoluble complexes in water. Color removal and COD reduction for wastewater from textile dyeing & printing mills, dyestuffs & pigment mills, ink & paper making mills, color removal treatment. High efficient for treating textile wastewater with different dyes, especially the water soluble dyes as Reactive dye, Acid dye, Disperse dye, Direct dye, Sulphur dye, Vat dye etc..
Has functions of de-color high-colority effluent from textile and dyestuffs mills. It is packaged in plastic drums with each containing 30kg, 50kgs, 250kg, 1250kg , or others according to the requirements of clients. First we apply the PAC (contact time 3-5 min with the waste water), after then BWD-01 Water Decoloring Agent (contact time 5-10 min), and after then anionic polyacrylamide. It will give too much economy if we'll adjust the pH 7-8, otherwise the consumption of BWD-01 will be ~20% higher.